New for 2015/16 season is Spring Pond. This venue has been a long term Club project to offer a prime Crucian Carp venue for its Members. It has been in development over a two year period and is in support of the National Crucian Carp Project (NCCP). Stocking has seen the purchase and introduction of 220 Crucian Carp, 200 Tench and 100 Roach. 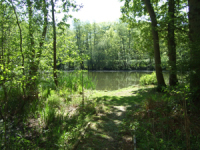 The Pond, which is set in the folds of the Surrey Hills, is spring fed and provides a scenic angling retreat for up to six anglers. The Venue has secured off road parking, only short walk from the bankside. 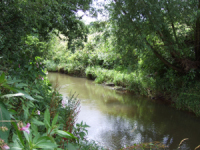 We have a stretch of the upper River Medway at Saint's Hill. The main species are chub,of which a considerable number have been caught over 5 pounds in weight and roach, which grow to a good size. There are also carp, perch and bream, as well as large pike. There are also a few barbel in our stretch, it being no more than a couple of hundred yards downstream of the area where the record barbel were caught in the 1990's. We keep this stretch of river well-maintained, and access is easy via steps cut at each swim. There is roughly half a mile of bank. Night fishing is permitted. 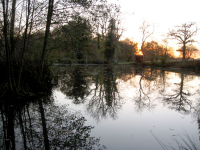 This is a lake of 2 acres on a the Gotwick Manor private estate, located at Hammerwood, near East Grinstead, West Sussex. It has depths to over 10 feet and holds specimen carp, tench and bream. There are also perch, rudd, roach and crucian carp, as well as pike, which have been caught into double figure weights. 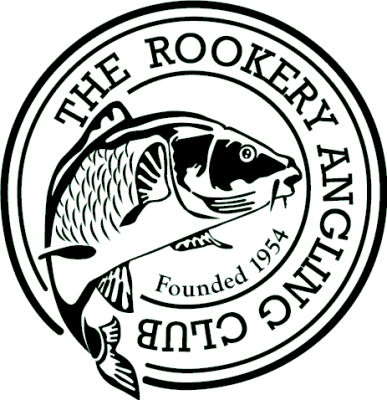 The lake can accommodate a maximum of 10 anglers, but in practice this is not a problem. The club has a conveniant parking area next to the water, Night fishing (bookable) is permitted. Located at Dormansland, near Lingfield, Surrey, this is a pool of roughly half an acre, with depths to over 20 feet. There is a very good head of carp (common and mirror), and these run to double figures. There is also a large head of roach, which grow to specimen size, tench, rudd, large perch and crucian carp. Parking is very convenient and access is easy. 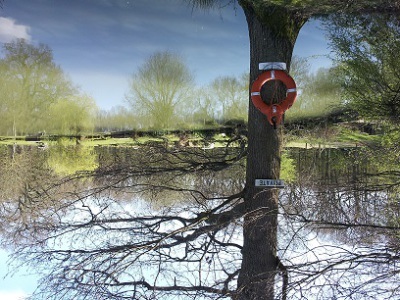 Located at Dormansland, near Lingfield, Surrey, this water is just under an acre in size and has depths up to 17 feet. This is a very picturesque water, with lilies surrounding most swims and an island with overhanging trees. There is a very large head of small and medium-size carp, and also a very large head of roach, which have been caught up to 2 pounds in weight. In addition, there are tench and rudd, and also perch. This water fishes well summer or winter. Carp, roach and perch are caught in most conditions throughout the year and Ladycross Bottom is available to fish 365 days of the year. It is an ideal water for the young angler to get into coarse fishing and to practice on. Banks are kept as safe as possible. Summer access and parking is very convenient indeed.There is nearby hard standing for winter parking. 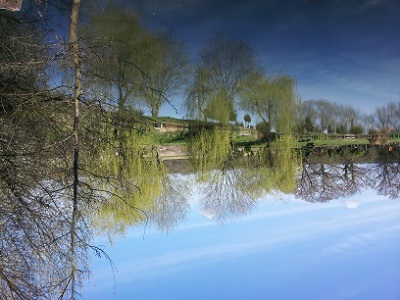 Gabriel's Farm Fishery, near Edenbridge is where we have a stretch of river and access to four lakes within the Gabriel's Farm commercial fishery complex: River Eden - There are chub and bream as well as roach, perch, pike, and the odd carp. The river is mainly narrow, and would suit anglers who like to travel light and do a bit of mobile stalking for chub. However there are also quite a few wider bits with more sedate swims which would suit the float fisherman. This is a small river, but nobody should underestimate the potential size of fish which are there to be caught. 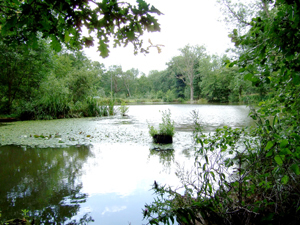 We also have the use of 4 lakes within the Gabriel's Farm Commercial Fishery (www.gabriels-fishery.co.uk). The 4 lakes are set in a partial woodland giving contrast light and shade over the water.The water lilies and marginal plants put on an attractive display not only for the angler to appreciate but to provide the ideal ecology for the fish to flourish in. Each lake is described as follows: 1. Silver Lake is stocked with twelve species including carp, tench, chub and perch. 2. Oak Lake is a carp water with mirror carp to 30lbs and leatherbacks. The water also sports common carp, rudd, chub and bream. 3. Swallow Lake has bream, roach, rudd and carp to 20lbs. 4. Hare Lake is stocked with rudd, roach, chub and dace amongst others including perch to 4lbs.